A decade ago, Democrats completed a remarkable shift from 2004's political wilderness to filibuster-proof majorities in Congress and control of the White House. But then we allowed the Tea Party, our own hubris, and ultimately Donald Trump to change who we are as Democrats. It’s time to return to what we know works and what America desperately needs: A Democratic party that seeks to represent all of America, listens instead of lectures, and leads through shared values and service. We know how to win because we’ve done it before. And we have much better tools now than we had a decade ago when Democrats were in a similar position after the 2004 election. Eleison was involved in all the major statewide races in 2006 and was a lead on “Red-to-Blue” in 2008. We’ve spent the last decade growing our data and understanding of voters based on what they value, during a time when Democrats increasingly focused on defining voters solely by how they were born. We now have a list of 110 million values voters with over a decade of values-based behavioral tags based on responses of those voters to hundreds of advocacy, service, and political campaigns we've engaged them with. 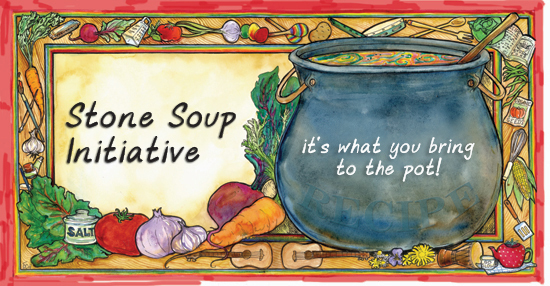 We're using that list and access to our system to launch our Stone Soup Initiative. Anyone in the initiative can get free access to our email system and the values database that powers it. Any campaign willing to commit to tithe volunteer hours to service to their community can participate. And already, we've had our first partner contribute another ingredient to the Stone Soup Initiative with an offer to provide any campaign that commits to tithe with at-cost digital advertising based on values models built from the email program.